Viewers are divided over the latest episode on the 10th series of Channel 4’s One Born Every Minute. In it we see 22-year-old Stephen with 19-year-old Jodie who is about to go into labour. 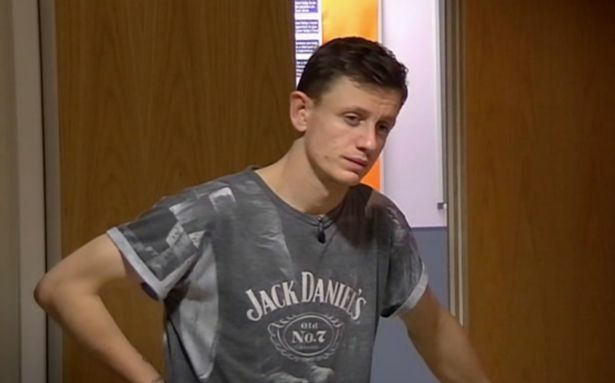 Jodie got pregnant after the two had a one night stand and viewers were quick to have a go at Stephen for his attitude while she was in labour. First he’s on the phone to his current girlfriend while at the same time helping Jodie through the labour process. He’s also seen being restless and moaning about being ‘tired’. He states to the cameras that he needed ‘to go and compose myself’ as he felt like he was ‘falling apart’. Some lads do run away from the pregnancy when they’re not with the girl, but I’m not some lad. They’re cowards. I’m not running away from my responsibility to be a parent. Viewers immediately to took to Twitter go express their outrage. However, there were others who were quick to defend Stephen, praising him for staying with Jodie. During her labour, he stays by her side, trying to make her laugh, holding her hand and stroking her hair. #OneBornEveryMinute everyone moaning cos tat poor chap is tired.. least he is standing by her an seems a decent fella who will step up. Either way, he was there, which is a lot more than can be said of plenty of men who suffer the consequences of not wrapping up during a one night stand. Set seems like a stand-up guy – even when he wants to sit down – and I’ve got a lot of time for remaining present and platonic during his exes labour. Jodie is obviously great, too.